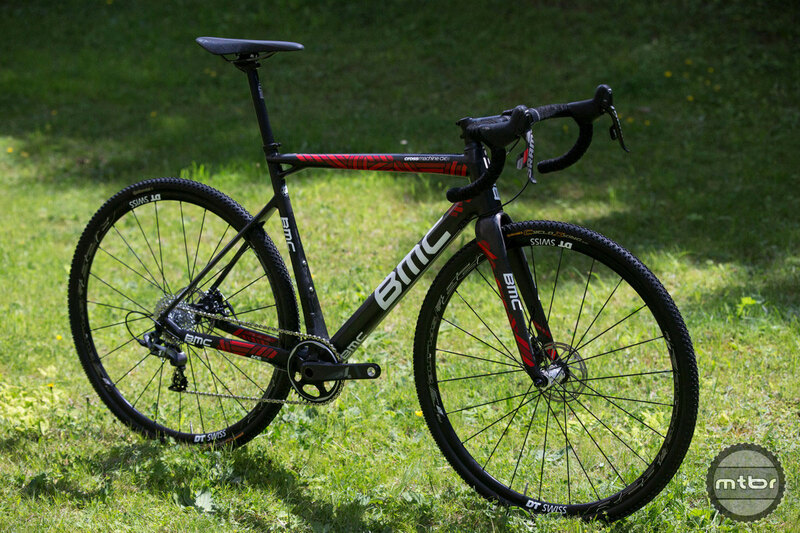 And despite the popularity of gravel bikes that can also accommodate cross tires, the departure from these ‘adventure’ bikes is very distinct with this sub 17 lb bike that is fast, aggressive and responsive and is suited to win cyclocross races. 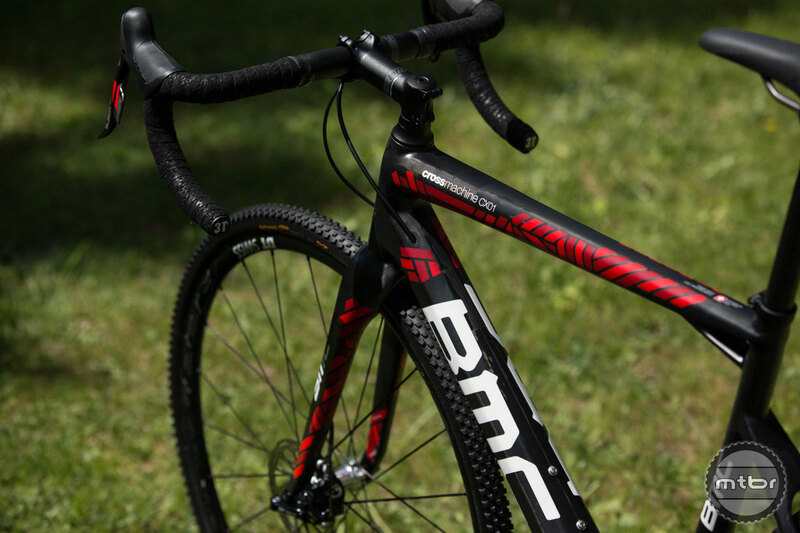 As with many BMC new model introductions, there will only be a single high-end model for now, fitted with SRAM’s new Force CX1 HydroR groupset. Rest assured that the technology and bike concept will trickle down to more affordable price points in the coming years. 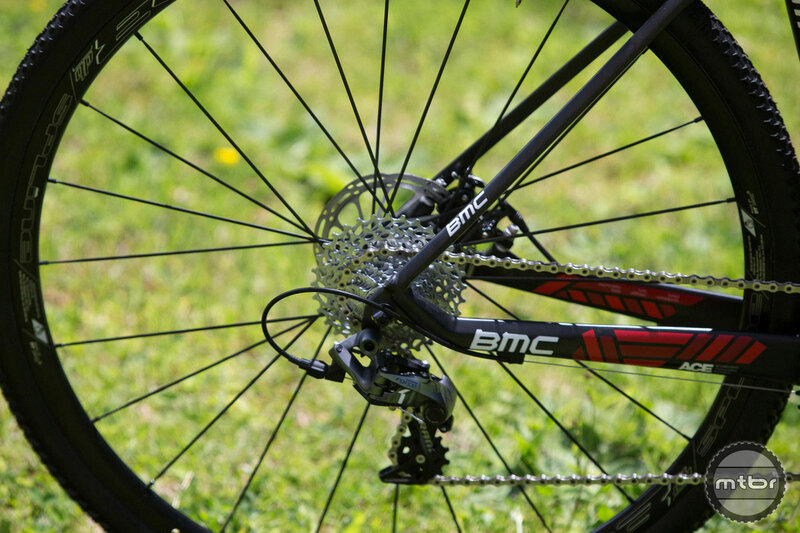 But BMC is a company firmly rooted in winning races so the fastest bikes come first. 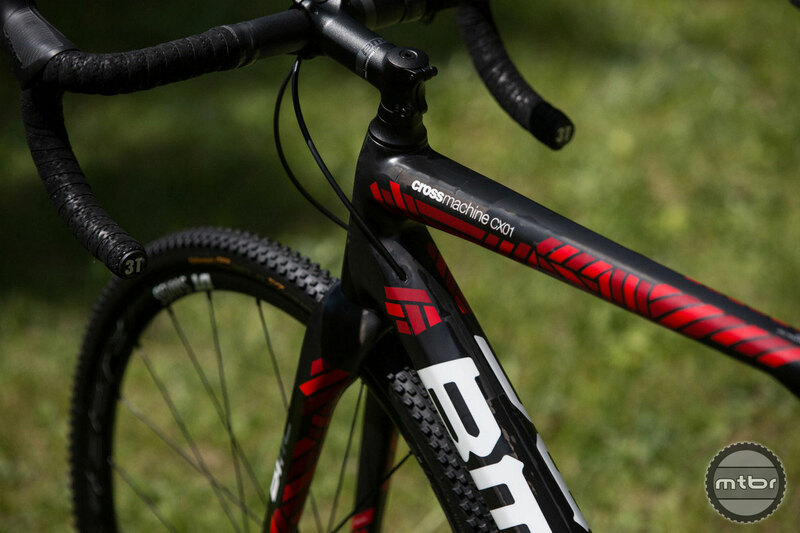 The Crossmachine CX01 will also be sold as a frameset with more cabling and front derailleur options. Claimed weight for a painted 54cm frame is 1,100g, with the frameset weighing 1,540g. This weight includes all necessary hardware and is thus conservative when compared to other brands. The frame used for the complete bike is CX1-specific, with no electronic cabling routing, and no front derailleur hanger, but the frameset-only option offers both allow for more versatile build options. The frame is configured for 140mm post mounts front and rear, and includes some neat features, such as the front brake hose entering the steerer above the headset, and passing through the left fork leg, as on the GF01 disc. Five sizes will be offered: 48, 51, 54, 57 and 60cm, with a bottom bracket drop of 62mm. A 27.2mm seatpost is used for rear comfort. Rear offset is 3mm and 18mm and 30mm offset posts will be available. The fork steer tube is tapered for stiffness and light weight and the bottom bracket shell is Shimano’s BB86 press fit standard. 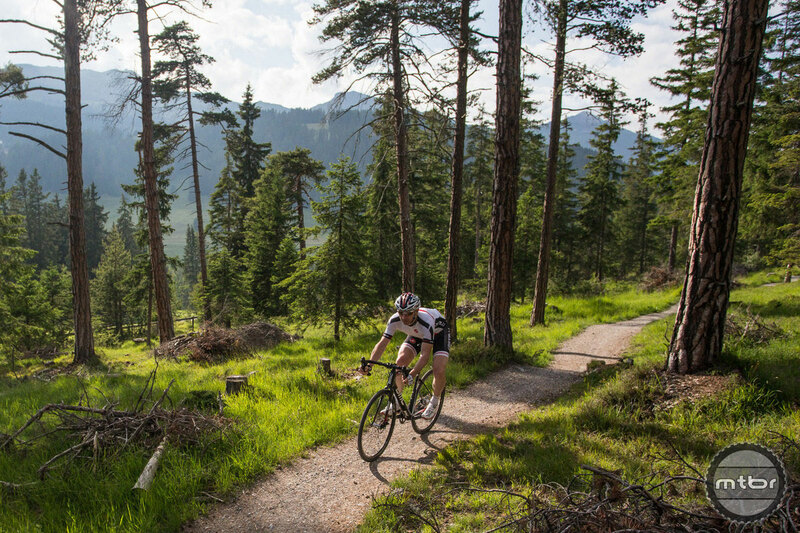 Final pricing will be released at Eurobike in August. We got a chance to hop on this bike during the launch at Lenzerheide, Switzerland. The 54cm frame had a SRAM Force CX1 drivetrain – 40t ring and 11-32t cassette, 140mm rotors, DT Swiss R23db Spline wheelset with Continental CycloXKing 35mm clincher, a 110mm stem and alloy bars. Without weight was 7.99kg / 17.41lb. 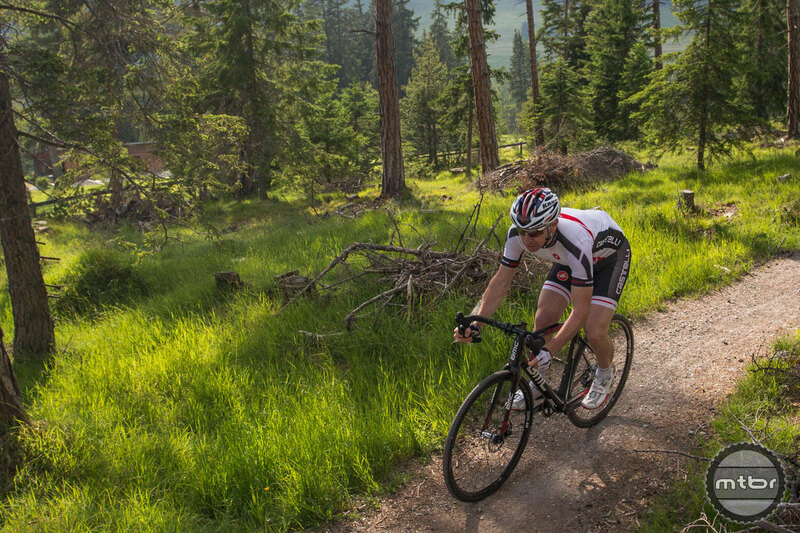 Weight and stiffness is what this bike is all about and our test ride confirmed that. Repeated accelerations were rewarded with awesome forward motion. This is not only due to the 17 lb weight of the bike but also the huge down tube and bottom bracket interface transferrin power to the wheels with minimal loss. 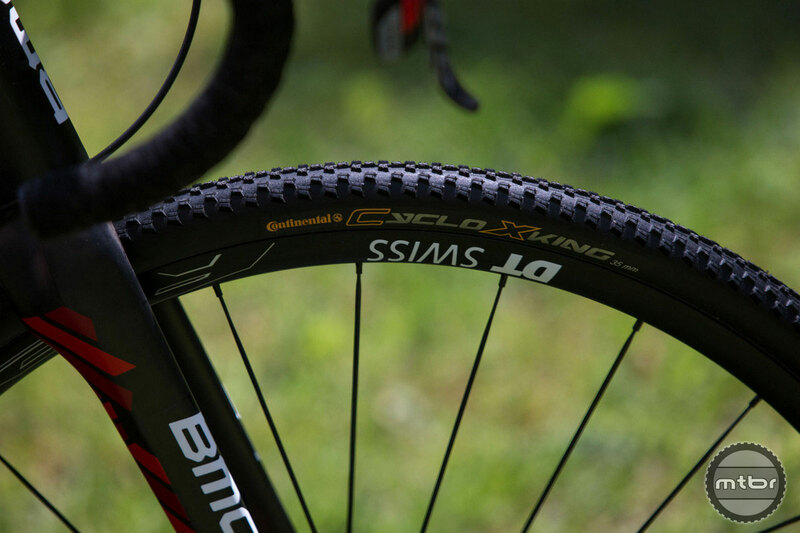 The DT Swiss Spline wheelset was quick and stiff as well and contributed to the acceleration. Handling wise, this bike seemed spot on. Lateral stiffness was there in spades and the geometry seemed dialed for quick, surgical turning. Yet, the bike was still lively and responsive. The brakes on our test bike were not the final hydraulic versions so we just ignored that aspect. But we are hopeful that the production SRAM HRD-1 hydraulic stoppers on this bike will deliver new levels of braking power and modulation ever seen on a road or cross bike. 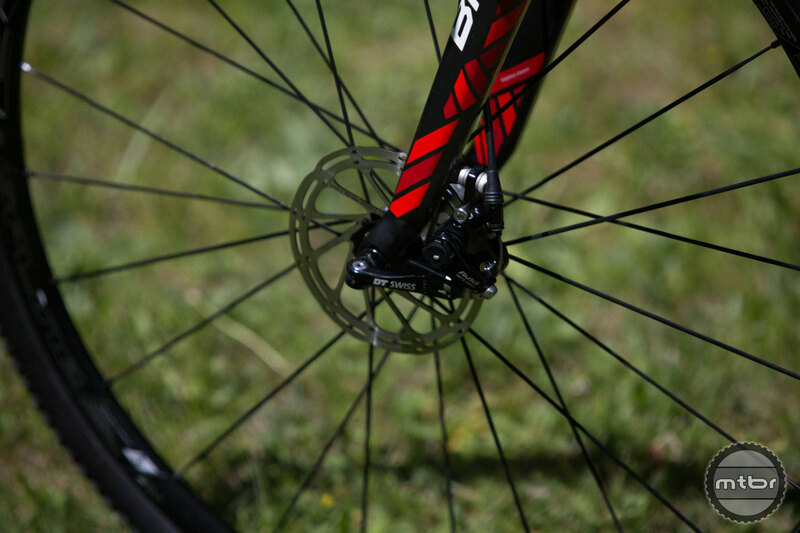 We’ve used the new SRAM MTB Guide brakes quite a bit and they are quite incredible. 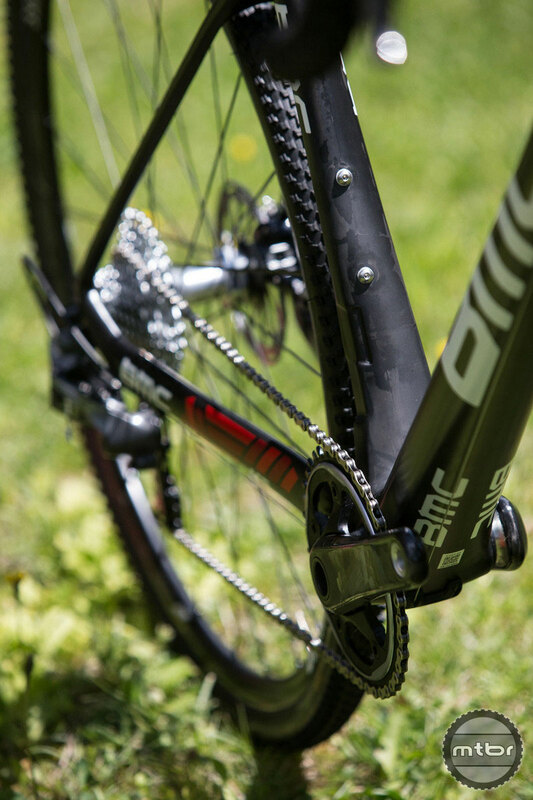 Notice that the bike only has one chainring in the front with no chain guide. How did we find it? Simply awesome. The 11×32 cog on the rear matched with a 44-tooth cog in the front worked flawlessly during our ride. Shifts were crisp with no hesitation at all. Chain slap was definitely less than traditional 2×10 setups. And the chain never dropped off the front ring at all. Of course our test rides were short but we are confident that this Narrow/Wide drivetrain will keep the chain in place better than any cross system before it. These are just initial impressions but we are excited about the revolutionary changes happening in the cross world. 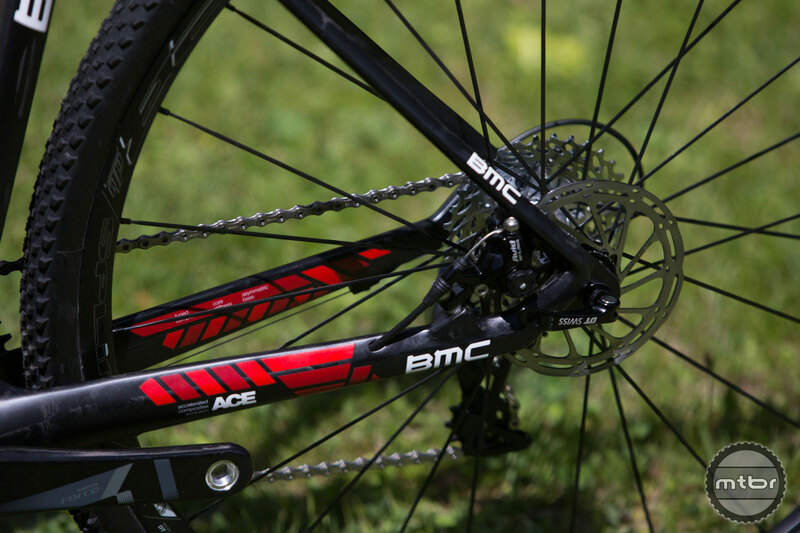 For more information visit www.bmc-racing.com. Then in the summary at the end the weight is listed as 16.97 lbs. Is 16.97 without pedals? and 17.4 lbs with pedals? This ‘one ring up front fad’ can not die soon enough. I suppose if you live where there are no mountains 1 ring would work ok. But in the pacific northwest, we have mountains. 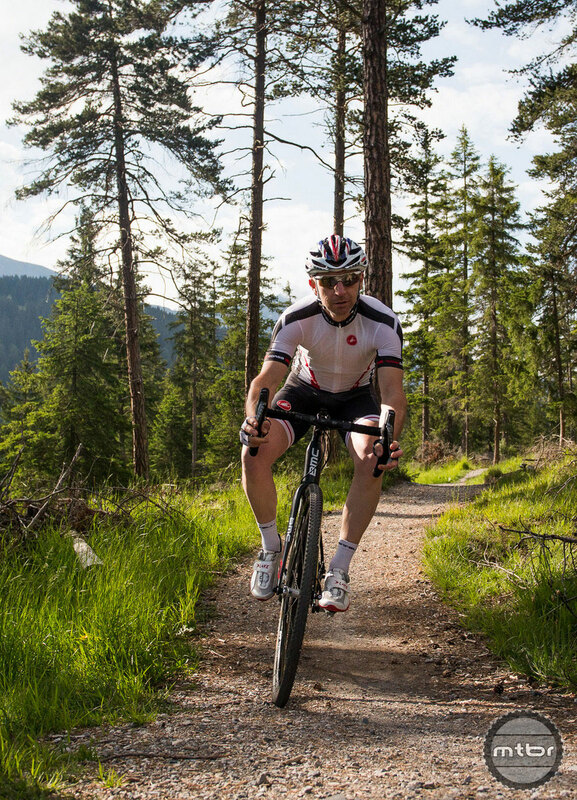 Need smaller gearing for the harder climbs, and need bigger gearing for the long descents. Oh, as you might of ascertained, I use my cross bike for more than just cross racing. You know, winter training, gravel grinding, etc. 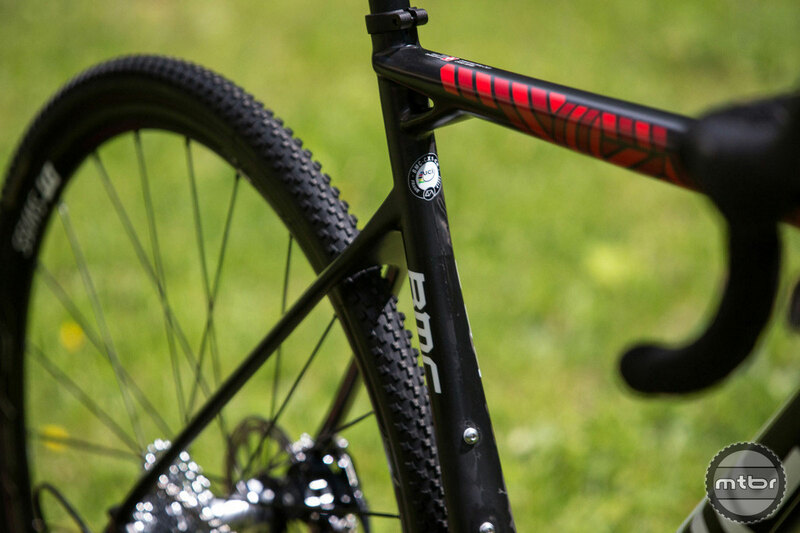 1x up front limits this bike to cross racing only…. if you use your cross bike for more than just cross racing then just run a 9-42 cassette and MTB rear derailluer. That would be the world’s most epic commuter bike!